I survived my stay at Walmart last night. I don’t recall ever spending the night in a parking lot, thus I was slightly nervous. Despite a few other campers being around and security cameras everywhere, I didn’t pop the top to VANilla last night just in case I needed to drive away quickly. The dogs and I fit snuggly and warmly together downstairs! I think VANilla may stay 10 degrees warmer with the top down which is nice when it is 39 degrees outside on the Maine Coast. We left Rockport (not Rockland as reported in yesterday’s blog) and made Camden our first stop. We walked around downtown, through a park, and by the harbor. In attempt to find a cache by the harbor, we crossed too many muggles to succeed. It was a magnetic, micro cache which meant it was small and probably attached below a bench seat that someone was warming up. I’m certain I would have gotten a few stares if I crouched down and looked underneath them, so maybe I’ll get it on my way back down the Maine coast. From Camden, we headed to Camden Hills State Park could be found only a few miles away. Camden Hills State Park is home to Mt. Battie where I met Betty. Betty just celebrated her granddaughter’s wedding in Kennebunk, Maine, and was spending the next week with her college roommate traveling Maine and Quebec. They are in Bar Harbor tonight, not far from the Walmart parking lot I’m camping in, though I’m certain they are enjoying a bed and breakfast! Betty lives in Scottsdale and offered me a bed and shower when I pass through next February. Mt. Battie offers a fabulous view of Camden Harbor and trails abound through the park. My mutts dragged me over the boulders, past the ferns and through the fall foliage for an hour before we returned to VANilla to find our next destination, Castine. The highway curved along the Maine coast, passed through inlets one foot above sea level and crossed many bridges along the way. One bridge is known as the Penobscot Narrows Bridge where a roadside pullout is accessible to capture the scene. A small cache is also located at this overlook. Despite all the tourists, I was able to grab it from the guard rail without being noticed. Everyone was staring in awe at the bridge. In addition, the waterway here marks a historical event. In 1779, the largest combined infantry-naval operation undertaken by the American colonists met with disaster. Two thousand colonials failed to capture Fort George at Castine. In addtion, the Americans burned or sank over 40 of their own vessels before they fled the site. 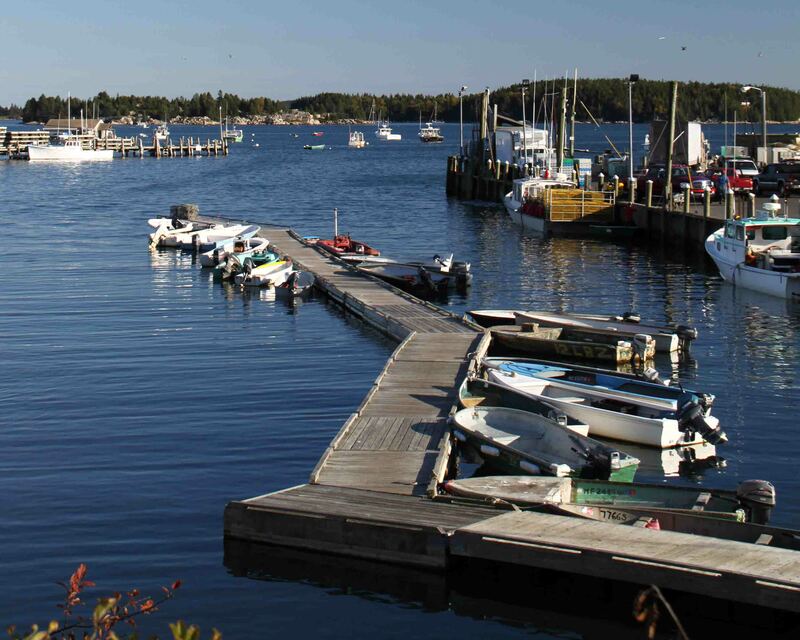 Reader’s Digest describes Castine as a place to “spend time sitting on the benches that overlook the town’s peaceful dock”. I thought this town would be just the right place to find a bowl of clam chowder or a lobster roll at a seafood shack on the harbor…maybe on the weekends or in the summer as most places were closed up. I don’t even think I took a picture! We pressed on to Holbrook Island Sanctuary…wow, was it remote. I felt like I was at the Indian Conservation Area in Missouri again except I did find a picnic area and pit toilet. This may sound morbid, but anytime I arrive at such a remote place, I think of how easily a pshyco could dispose of my body. Or I could just as easily trip, fall, and never be found. Maine probably doesn’t want such a description used in a travel blog, but when traveling alone, I can’t help but contend with “caution alerts” once in awhile. I can imagine with a group of friends it would be a wonderful place to enjoy nature’s tranquility. I bet half the home owners on the Maine coast don’t know Holbrook Island Sanctuary exists…Gina my GPS doesn’t! At least the dogs got to enjoy a few minutes running around off leash. I’m so sure the pshyco puts your mothers reservations to rest, hahahah. Be careful and stay safe. I love that you title your blogs with exactly where you are. I think it’s good that you entertain some fear about traveling alone… even with your muts. Now that I’m a dog mom, I feel much safer when I am out and about. Plus, many Mexicans are afraid of dogs. They shy away from me when I am walking with her. Lupe is muy amable but on occasion will turn into a beast! Attention all readers…she lives in Mexico! Walmart parking lot — another first! Actually, I think it’s nice that Walmart allows campers. The harbors are quite pretty and charming. But, man, I bet they can be bitter cold in the wind! It sounds like you are being aware and alert on your travels which makes a mom happy! 🙂 Do you ever wish you had a little personal GPS — I do. Sorry you missed out on clam chowder and lobster! Yum — sound good! Still wish you had a personal GPS though. So nice of Bettie to offer you a bed and shower when you hit Scottsdale! Hurray!! Rangers won tonight! 5-1…. On to the ALSC!!! Maine seems like such a great place to visit…someday! Hope you have a fun day of traveling and sightseeing! That would be awesome…not sure what days I’m there…but think it is in February…you can come camp with me whenever you want! Yeah, you found the sun! 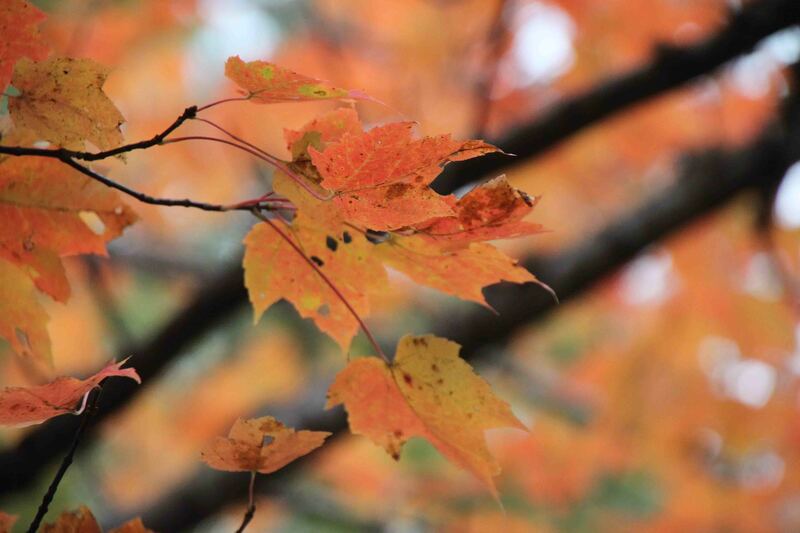 Enjoy Maine, I’ve never been, but one day…. A long time ago, 1987, my best friend and I spent 49 days traveling around the US in a small Toyota pickup with a camper shell; we called it Fred. The first night ,we stayed in a Denny’s parking lot, this was before Walmarts were everywhere, and I can tell you it was scary. So, I can sympathize with you, Scout and Petey in the Walmart parking lot. At least you had your puppy buddies! We rehearsed yelling in deep voices: “Tom, Dave, get the gun!” Ha, ha, ha. Haha…glad you survived and hope you enjoyed a Denny’s breakfast the next day! Walmart is actually pretty safe…lots of security cameras and other campers…I was just being chicken the first night. Petey practices his deep bark on occasion too, so with and my personal protective gear, I should be ok! Have so much fun–they have great antique shops. nice to hear you met people from Az….